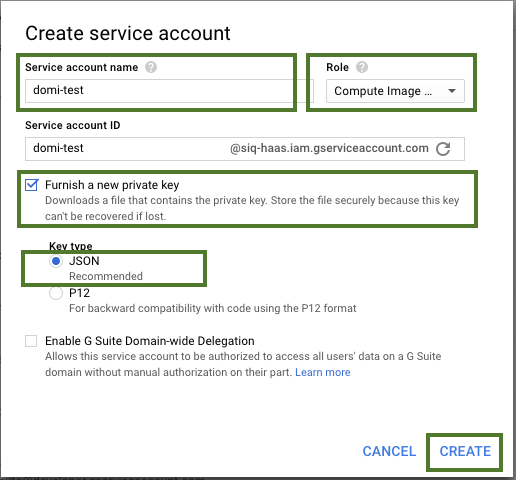 You must create a Google Cloud Platform service account and generate an access key (in the JSON or P12 format, JSON is preferred). If you are using a corporate GCP account, it is likely that only your GCP admin can perform these steps. Example steps are described below. These steps assume that you have a Google Cloud Platform account. If you do not have one, you can create it at https://console.cloud.google.com. Under Service account name, provide some name for your service account. Under Role, select the project-level roles that the account should have. Check Furnish a new private key and select JSON or P12. We recommend using JSON. 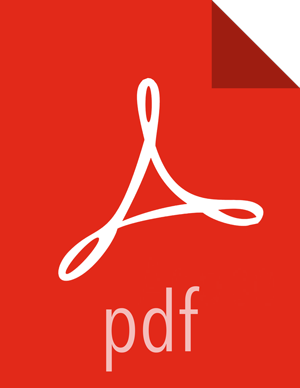 Click Create and the file containing the key will be downloaded onto your machine. The name of the key file is usually long and contains spaces, so you may want to rename the file. Later you will need to place this key on your cluster nodes.